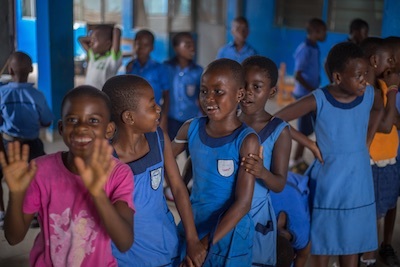 Children's Helpers Worldwide | Can you make a difference for schoolchildren in Ghana? 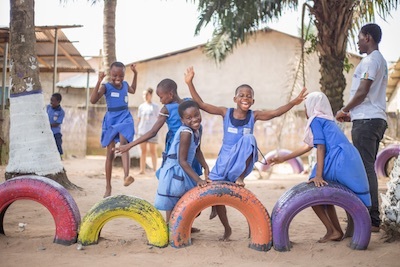 We are delighted to announce a new partnership with Meyah Preparatory School in Medie, Ghana! 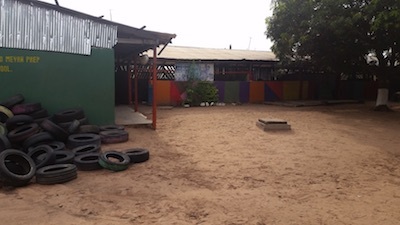 The school was started by Moses and Janet Agbodra in 2004, after they retired in Medie and saw that there were many children without the opportunity to go to school. There are now 150 pupils and their school has classes ranging from Kindergarten to Junior High School. Meyah believes in ensuring that there is a creative environment for students to learn and they run regular reading sessions, cultural activities and extracurricular activities. Meyah is currently looking for help with sponsoring some of its teachers. If CHW can raise £755, this will cover a percentage of some of the teachers’ salaries over the next few months. Assisting with this now will also give Meyah some time to focus on creating a financial strategy to become more self-sustaining in the future. Contributing towards this today will help the school to keep going and will ensure that the children at Meyah can continue to have a good education. If you would like to contribute, you can do so via Paypal, here. Sharing this project with others will also help! We will be grateful to all who get involved with helping these children to receive an education! With thanks to Mr Agbodra for the photos. Thank you to Claire and Emmanuel from Move the World for introducing the school to CHW.